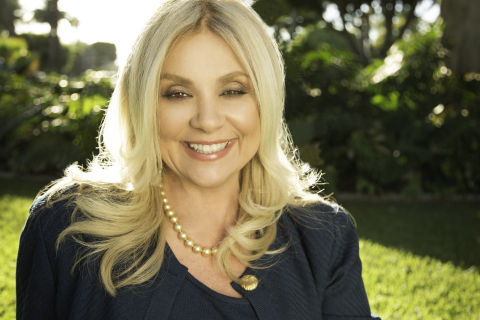 As a prolific educator, award-winning author and former president of the Beverly Hills Chamber of Commerce, Lisa Detanna, MBA/WMS(R), is no ordinary financial advisor. In fact, she is known throughout Southern California for her efforts to entertain and engage young people on the subject of responsible money management. Detanna’s commitment to preparing heirs, along with her 25 years of success as an advisor, were recently profiled in “California Financial Leaders,” a special promotional section that periodically appears in Forbes. An article in the section highlights Detanna’s career, her unusual approach to financial planning, the impact she has made on thousands of children and young adults, and her highly successful advisory practice, Global Wealth Solutions Group of Raymond James. Detanna has received numerous accolades for professional excellence. She was the recipient of the 2010 Barron’s Top 100 Women Financial Managers award and was listed among the Cambridge Who’s Who in 2009-2011. Detanna was also the 2001 Woman of Accomplishment for Bnai Zion, and she received the Citi Smith Barney Director’s Council award from 2007-2010 and the Chairman’s Council award in 2005 and 2006. In addition, Detanna was a Raymond James Chairman’s Council member in 2012, 2013 and 2014. The executive committee of the International Women’s Leadership Association declared her a delegate in 2014. Although Detanna feels honored to be recognized, career and business success aren’t the goals of her practice. Her greatest rewards, she says, are the deeply personal relationships she enjoys with client families. About Global Wealth Solutions Group of Raymond James: With over $1.6 billion in assets under management, the Global Wealth Solutions Group of Raymond James serves high-net-worth clients from its offices in Beverly Hills and Los Angeles. The group specializes in all aspects of wealth management, from investments and tax strategies to long-term care and legacy planning. Barron’s rankings based on quantitative (assets under management and revenue produced) and qualitative criteria (compliance records, discussions with management, experience levels and interviews among other factors). Who’s Who is based on a database of professionals who have demonstrated leadership and achievement in their industry and occupation. Criteria for Woman of Accomplishment for Bnai Zion include demonstrations of achievement and leadership. Citi Smith Barney awards are based on production. Raymond James awards are based mainly on assets under management, education, credentials and fiscal year production. Requalification is required annually.